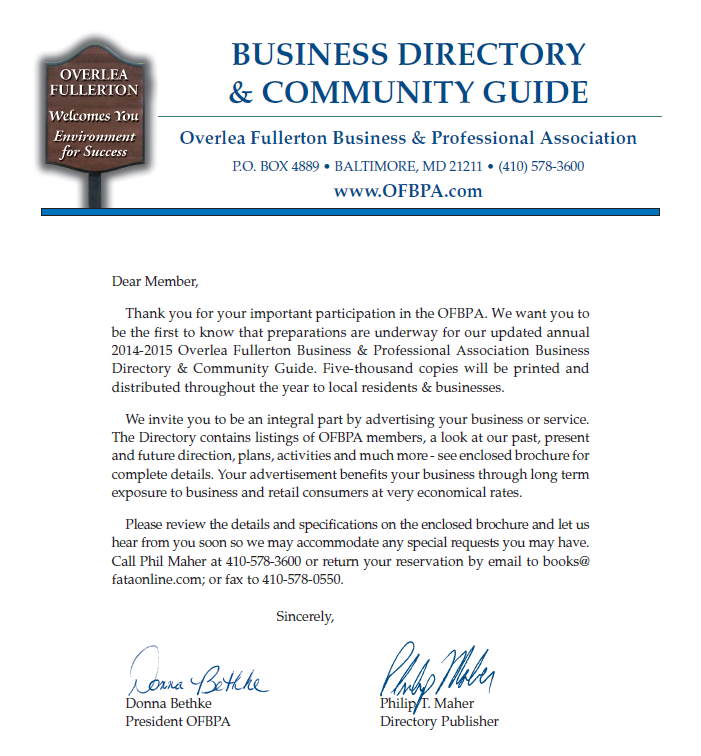 We're looking for a local business to feature in the "History of a Business" 2016-2017 OFBPA Business Directory & Community Guide. The candidate must have "longevity" in the community, preferably 25+ years. Contact Donna at ptavon@comcast.net to discuss! 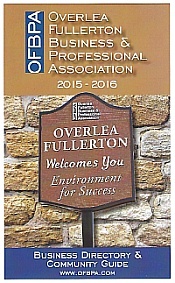 Look for FATA, Inc. and OFBPA to cascade information about advertising in Overlea Fullerton's upcoming 2016-2017 OFBPA Business Directory & Community Guide mid-summer. We ask that you return your ads promptly, the sooner we fill the book the sooner we can get them printed & distributed! Want a copy of our 2015-2016 guide? We currently have them stocked at numerous local businesses in 21206, 21234, 21236 & 21237. Drop us a note via our contact page, we'll make sure you get a copy somehow, someway. 1) Join OFBPA! Members are listed three times in the guide. 2) Run your business ad in the guide. See the ad sheet for rates. We get 5,000 copies that are distributed among our business members, our community associations and businesses along our corridor. Don’t miss out on this awesome opportunity to let the community KNOW YOU! Click image for the form download.